By now you’ve heard about the “Gender Pay Gap” – it’s been all over the news these last few months. I don’t see it going away anytime soon, either. But just to catch everyone up, let’s define the gap. According to the American Association for University Women (AAUW), “the gender pay gap is the difference between what men and women are typically paid”. Research shows that this difference exists across all demographics, workplaces, and education levels. In 2016 women in the United States were paid 80% of what men made. In Massachusetts, we were right on par with the national average clocking in at 80-84%. If you break it down for Boston, specifically, women were making 87.1% of men’s earnings, and women made 94.1% in Somerville/Cambridge. You might be thinking… the numbers aren’t so bad here! But look at it like this: The National Women’s Law Center estimated that a single woman in Massachusetts, in a 40-year career, would lose $416,720 when compared to a white man. That is too much money to leave on the table. If you take into account racial/ethnic groups, the numbers are even more alarming. Black women made 63 cents on the dollar, and Latina women made a staggering 54 cents for every dollar earned by a white man. Asian women made slightly more than the national average at 87%, but the gap is still there. If you look at the data from the National Women’s Law Center again, native American women in Massachusetts would lose just shy of $1,000,000, black women over $1,000,000, and Latina women would lose more than 1.3 million. 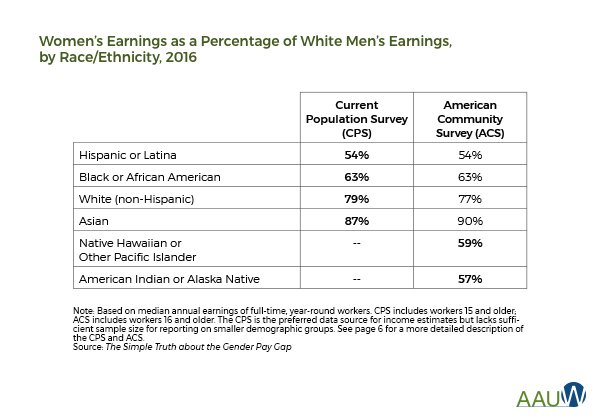 Women of color are also less likely to have access to things like paid sick and family leave and flexible work schedules, all of which compound the systemic economic hurdles they face. 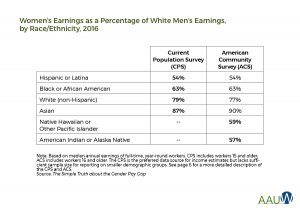 “After taking into account differences in observable factors such as education, field of study, occupation and experience, multiple studies have estimated that there is an unaccounted for gap between women’s and men’s average earnings of 5 to 9 percent. In other words, as much as 40 percent of the overall gender pay gap cannot be explained by factors that would affect earnings and may be due to discrimination”. On a legislative level, you can reach out to your elected officials and demand their support for pay equity. On an individual level, you can arm yourself with a negotiation education. You must remember: it is in your power to tip the scales. Always, always negotiate. Salary.com found that 84% of employers expect prospective employees to negotiate salary during the interview stage. Yet only 30% of women bother to negotiate at all, while 46% of men negotiate, according to Forbes. There are many reasons why people choose not to negotiate: fear of conflict, feeling “under-qualified”, simply not realizing there is extra money available, and feeling gratitude for “just getting in the door”, to name a few. In 2015 the AAUW joined forces with the City of Boston to train and empower 85,000 women by 2021 to close the gender pay gap. Dozens of free salary negotiation workshops are available every year across the city. The core tenants of their program are: knowing your value, benchmarking salary and benefits, knowing your strategy, and PRACTICING! The unknown has the potential to be scary – but with practice, the unknown becomes familiar and easier to navigate. Just like you would do a mock interview to prepare for a real interview, practicing the negotiation conversation can be a phenomenal tactic for success. And, when in doubt, visit your CO-OP + CAREER Advisor for guidance and coaching. We are always happy to help!